Juliet picks up the dagger and... gets a life! 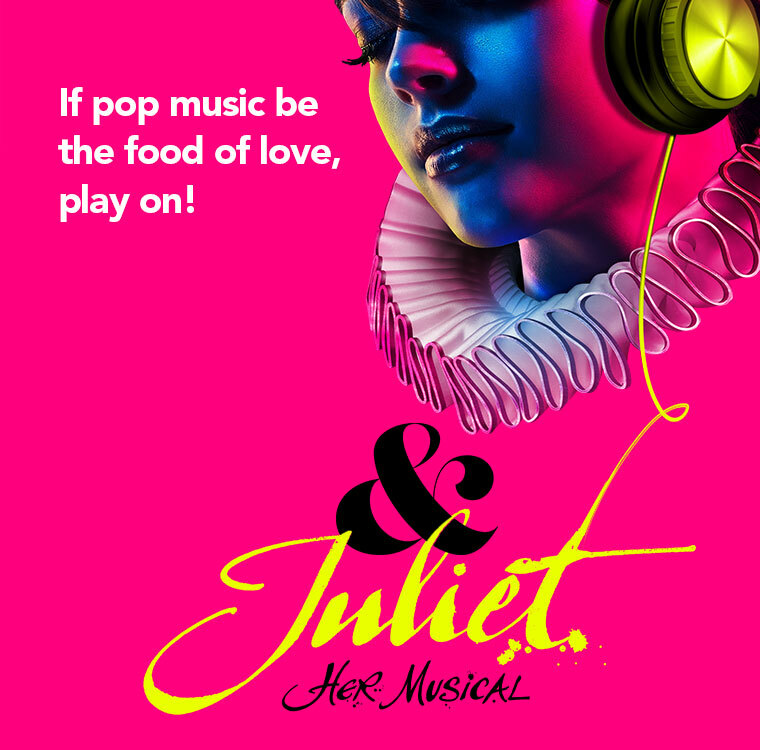 & Juliet is the irreverent and fun-loving new musical that asks: what if Juliet's famous ending was really just her beginning? What if she decided to choose her own fate? & Juliet soars with some of the biggest pop anthems from acclaimed songwriter Max Martin and made famous by artists including Backstreet Boys, Justin Timberlake, Britney Spears, Katy Perry and Ariana Grande, all brilliantly arranged by Tony® and Grammy Award-winning orchestrator Bill Sherman. This timely and vibrant new musical is directed by Luke Sheppard (In the Heights) with the story by David West Read (Netflix's Schitt's Creek) and choreography from Jennifer Weber and comes to Manchester ahead of a West End run.